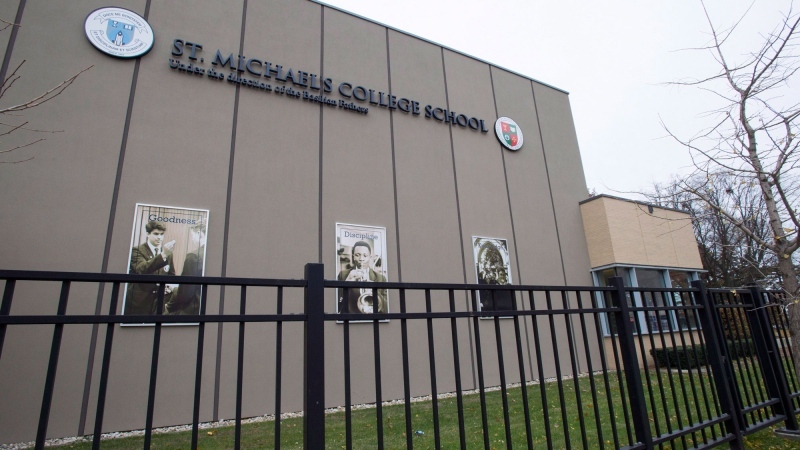 Police say they have received two new videos showing alleged criminal activity related to an all-boys Catholic school in Toronto, bringing the total number of incidents involving the school under investigation to six. Police say they have received two new videos showing alleged criminal activity related to an all-boys Catholic school in Toronto, bringing the total number of incidents involving the schoolunder investigation to six. Insp. Dominic Sinopoli said Tuesday that one of the videos was being investigated as a “threatening occurrence” and the other as a case of “assault with a weapon." No victims or suspects have been identified in connection with the new videos, Sinopoli said. Four other incidents involving students at the school were reported to police last week, including one regarding a video which allegedly shows a teenage boy being sexually assaulted with a broom handle. Six students have been arrested in connection with that video. Sinopoli said investigators had been expecting more videos of alleged abuses to surface. “I expect that we’ll get more victims coming forward,” he told CP24.